Surprise! I'm sure you've noticed by now that I've redesigned the look of the blog a bit. You know me, I'm always wanting to try new things and to freshen up old things, so I figured it was time for a change. I hope you all like it! A HomeGoods find for $60! 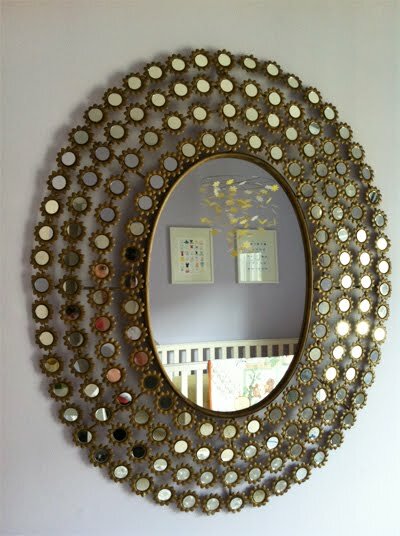 As promised, here is a full shot of the mirror in Victoria's room. Looks a lot like this one below, eh? The one I found is a total knockoff, but honestly, I prefer it over The Real McCoy. I like the empty space between the circles, which allows the wall color to peek through. It has a lightness that I think goes well in a nursery. Plus, the price tag doesn't hurt either. We're still in the process of finishing up her room, so forgive me for just this one photo. I'm still figuring out which wall shelves to purchase (there are a lot that have so-so reviews), and we did purchase a rug for her room but it's looking like it doesn't really jive well with her roman shade. Not sure which one will go, but I need to hash that out with the hubby. From TJMaxx for $60 a piece! 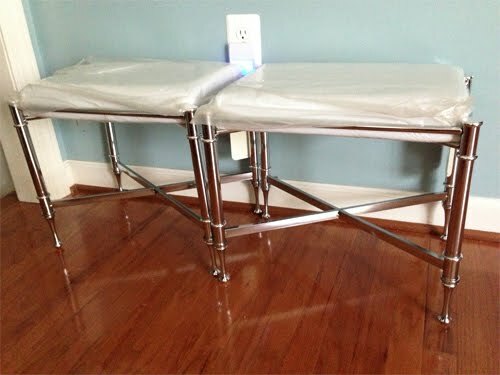 And remember I had mentioned earlier that I picked up some stools for the entryway that I wanted to have reupholstered? Well, here they are! 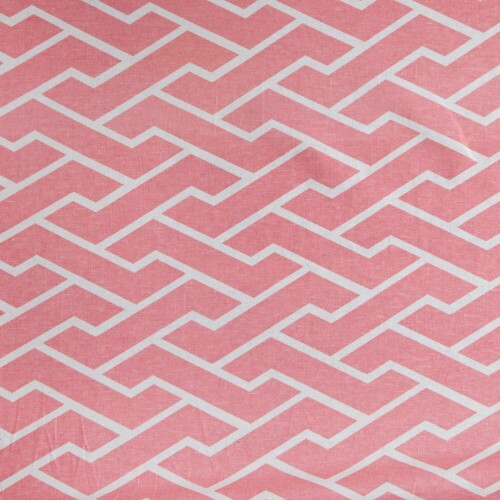 I have been pondering which fabric to use for some time now (not surprising, it takes me forever to make a decision) and think that this lovely Caitlin Wilson Pink City Maze just might be the one. 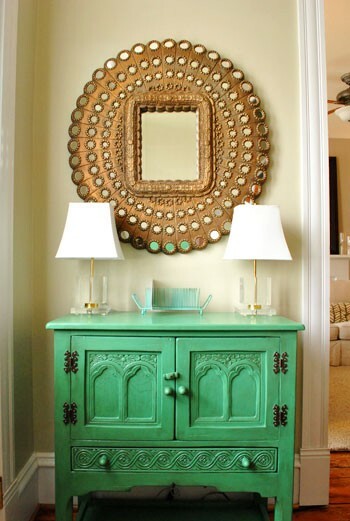 The color would be perfect with a light gray wall (shhh, don't tell Steve, but the entryway is getting repainted). 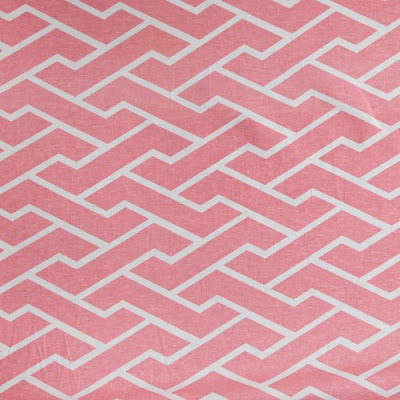 I'm still window shopping for other fabrics, but this is definitely the front runner. I'll keep you posted about my final decision!